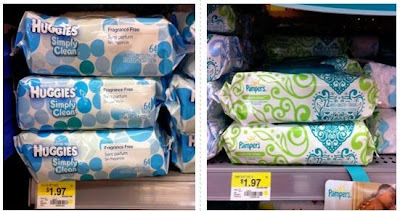 Pampers & Huggies Wipes Only $1.47 at Walmart! If you're running low on wipes or like these brands, use these coupons at Walmart to get these wipes for $0.02 each! Final price only $1.47 each!